I’ve noticed that there are so many bad examples of this colour trend on our streets, including some celebs, so I decided to get some advanced training with the top balayage experts in London. Extra training is always worth the investment! After the training, the team were re-invigorated and they are creating fabulous colour that I am proud to see walking out of JAM Hair salon in south Croydon. Your perfect balayage starts with a consultation. 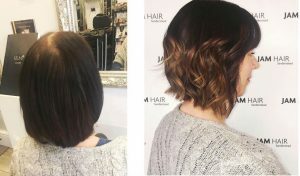 Bring some photos with you of what you have in mind, and also what you don’t want – this is crucial because every balayage can be different and your idea could be completely different to your stylists. You’ll also have a skin test so we can ensure you don’t have an allergic reaction to anything in the colour. Book your colour consultation today. 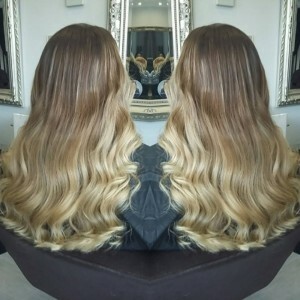 We offer two balayage colour services (if you wanted to book online), Classic or Creative. Classic: Hand-painted pieces are scattered through the hair and applied thicker on the ends. There is no colour in the root area, which keeps regrowth to a minimum and makes it perfect low-maintenance colour. Creative: This technique takes longer and involves colour onto the scalp or a root drag. It’s really popular with our longer-haired ladies and creates a stunning look. 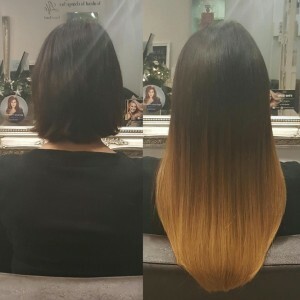 Cheat it: If you prefer not to have colour on your hair, have an allergy to hair dye, or would like to try a commitment-free colour change, you can also achieve the look with hair extensions. Ready to have on-trend hair colour by our expert colourists? Book your balayage appointment today. 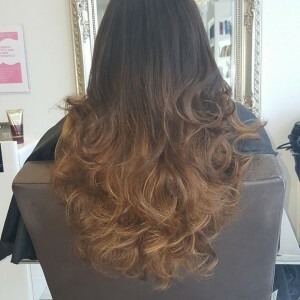 This entry was posted in blog, Hairstyle News and tagged balayage, hair salon croyon, hairdressers croydon, sanderstead on October 15, 2017 by j4cqu1.